For a while, Sony hasn't been in the news due to the increased popularity that iPhone X & Samsung flagships got. But with the announcement of Xperia XA2 and its bigger brother XA2 Ultra, is Sony really into bring back there old pride in 2018? You get to know everything by the end of this detailed comparison review. Sony is still following the same old habit of launching multiple flagships simultaneously that compelled other smartphone manufacturers to follow with their brands. 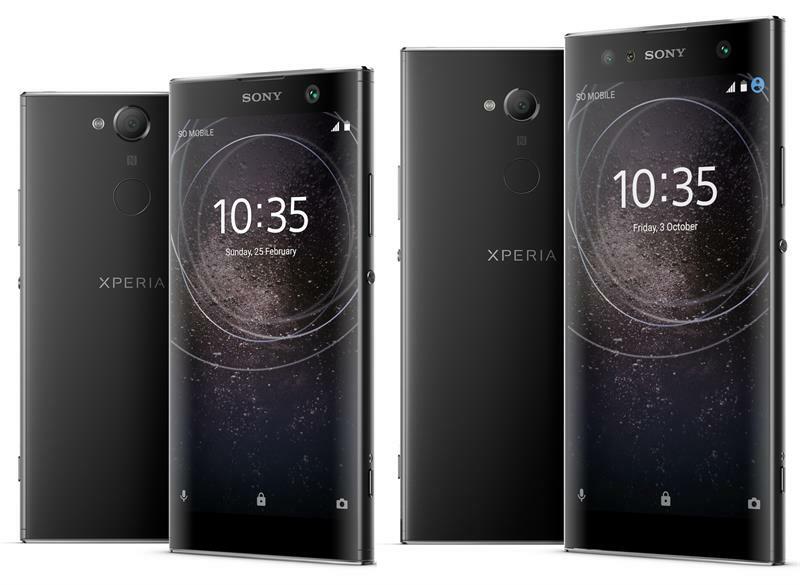 This year too Sony announced its two new devices which will be adding into its Xperia lineups; the Xperia XA2 and Xperia XA2 Ultra. Although Sony hasn't been rivaling for providing the best smartphone in the markets, still with these two devices Sony is trying to keep their promises and remain consistent in what they have been doing in the smartphone markets with these new mid-range flagships. Sony is trying its level best to satisfy its customers by making some noticeable changes in their devices. Unlike any other Xperia device, Sony is launching their new devices with a change in placing fingerprint scanner to a new and convenient position. Not only that, but the devices have been promised to deliver longer battery life too. But since no other smartphone can rival against Sony in the field of the camera, they still are launching their new devices with much more spectacular camera performance. But will all these changes and tweaks give them a new level of acceptance? Let's wait and see! Sony had changed its years-long design language with the introduction of XA2 brothers. The major change in the field of design is on its back; as mentioned above, Sony is turning over a new leaf by taking their fingerprint scanner to a new and convenient position. By positioning it right below the rear camera, Sony is not only tearing off its previous power button-mounted scanner but also making the design more user-friendly. With the design language being changed Xperia XA2 and XA2 Ultra now looks more sleek and stylish. As the battery has been slightly upgraded for both the devices to give more juice, it is a bit thicker around the middle. Although these brothers aren't the thickest phone on the market, they still measure around 9.7 mm for XA2 and 9.5 mm for the Ultra. But these thicknesses can be compensated as Sony had finally taken a step to eliminate battery life issues that their previous devices used to show. Down at the bottom of the device you can find a USB C port as well as a single speaker. And don't worry, Sony hadn't eliminated the headphone jack like the most brands nowadays used to do to keep their smartphone design simple. Rather in XA2 and XA2 Ultra, there's a 3.5 mm headphone jack for you to listen to something on the go. Built wise, both the XA2s are packed with an Aluminum frame with a plastic back, although it may sound cheap, they look and feel great on hands. The XA2 Ultra is a gigantic device and may not be the most comfortable one for people with small hands, but if you are someone like me who loves big screens, then you can make it work. Also, the Ultra model comes with an IPS LCD display delivering 6-inch 1080 x 1920 pixels resolution, while the 5.2-inch XA2 delivers more pixel density than the Ultra although the resolution is same. The display is also added with Corning Gorilla Glass 4 for protection. Sadly these devices aren't certified for you to take for a swim since they are not IP certified smartphones. So just make sure to be extra careful when you are around liquids and don't dip your phone like you used to do with previous Sony devices. Since its 2018 and it means the bezel-less smartphones are so common, Sony does provide their XA2 devices with a negligible small bezel at both ends. The Octa-core powered Snapdragon 630 runs under each of these devices with Android 8.0 Oreo on top of it. In terms of performance, Sony provides Adreno 508 as its GPU but the reduced RAM at 3GB in XA2 might raise dispute among users as the bigger Ultra spots a 4GB RAM. With increasing internal storage and elimination of microSD support on smartphones these days, Sony still keeping the old-school 32 GB and a microSD support which is expandable up to 256 GB. But for the Ultra model, you have the option to choose from 32 GB and a 64 GB variant. Even though both the XA2 and the Ultra devices were going side by side spec-wise, major change happens here in camera. When the bigger brother holds dual front-facing cameras, XA2 delivers only a single cam with 8 MP. However, when other brands are rolling out their smartphones with dual cams on the rear, why would Sony be delivering them at the front? Well, Sony is aiming here for a better selfie camera which they found more important for users than the primary camera on the rear. The 16 MP + 8 MP dual cams in the Ultra is also being equipped with a front-facing flash. When the 16 MP sensor of the Ultra is equipped with f/2.0 optics and an 88 degrees field of view, the 8 MP sensor with f/2.4 aperture is equipped with a wider angle lens at 120 degrees. For taking those great night selfies without any shake or hustle, the Ultra also delivers optical image stabilization for its selfie cam. Sadly, the XA2 does deliver none of the above features. When talking about the rear cam, Sony had brought its popular 23 MP sensor on both these devices with f/2,0 aperture and LED flash. Moreover, the devices are capable of recording 2k as well as 1080p videos at 30 frames per second. Other primary camera functions also feature a SteadyShot electronic image stabilization, fast hybrid autofocus and a dedicated camera shutter button which is an unwanted feature that the Sony still haven't come out of. Sadly, there aren't any more mentionable features on any of these XA2 devices. One among the major field that smartphone users investigate about before buying a smartphone is its battery capacity and its life. Sony had equipped both devices with enough battery capacity to light them for a day. With 3,580 mAh of battery underneath XA2 Ultra, it isn't much larger than its younger brother's 3,300 mAh. However, the Ultra might struggle a little more compared to XA2 as it comes with a bigger screen to power. But with Quick Charge 3.0 enabled on both the devices, you as a user won't have to worry about the charging time as it supports fast battery charging. There you have it! A detailed comparison review between Xperia XA2 and XA2 Ultra. Both of these devices gives you a lot of nice features that best suits for an upper mid-range phone. With excellent battery life, superior LCD screen and a decent camera with 4k video recording capability, XA2 and XA2 Ultra worth the price you pay for. However, from the above comparison review, you would have understood that the Ultra model is a bigger brother of the XA2 with just size and camera being the only two factors that set them apart. So are you willing to pay a 100$ more for the Ultra variant? However, I wouldn't stop you if you're madly in love with big-sized screens and always bother about your selfie cam. For such people, the XA2 Ultra is the better choice. On the other hand, if you can satisfy with a smaller display and can also compromise on a gig of RAM and dual selfie cam, for getting Xperia XA2 100$ cheaper, then I would say that it's your best buy. However, with no IP dust/water protection, the absence of rear dual cams, low internal storage, are these Xperia devices worth waiting for? Now it is time for you to think about it and take a better decision.